After 3 years and photographing dozens of births, I’ve decided to become an open book in regards to what I’ve learned. Here are the answers to the most frequently asked questions from photographers interested in photographing the birth sessions. 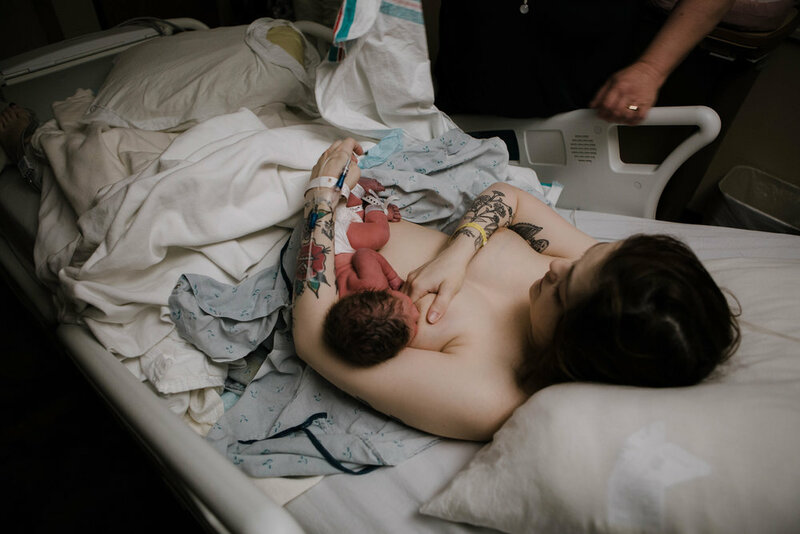 How did you get into shooting birth stories? I say I have the birth fever. It all started when I was in labor with my own son, I honestly don’t remember much of his birth story and though I had my sister try to help me with taking photos, we didn’t get more than two. I had complications during my labor and honestly my delivery was so fast that my doctor almost didn’t make it in time. My sister had to help with the birth instead of photographing like I had intended her to. I didn’t want other mothers to have that same issue that I did, so I started offering sessions to friends and I fell in love with my first birth. I knew it was something that I would want to offer clients from that moment on. Any suggestions on how I can build my portfolio? My first suggestion is offering a session to close friends and family members that you know are expecting. They will be far more likely to invite you into their delivery room than someone you don’t know since it is such a private and intimate moment. That, and without you having much experience, they are normally more understanding and appreciative to have those moments. The first few births I ever photographed I offered friends to shoot for just above my cost of doing business, and a couple were donated as gifts. After you get a hang of it, I cannot stress enough to figure out what a fair price for you is for all the time devoted, and even more important to make sure that both you and your client are very clear on what it will cost, what limitations they might have, and what is being delivered. If you don’t know many family members or friends that are expecting, or aren’t around them, I suggest getting in touch with local midwives, doulas, and birth centers. They are often willing to pair you with clients they have that they think would be interested in photographs. Many times it is in exchange for them using a few images themselves in their building, but it is also some great advertising. I would avoid posting on Buy/sell/trade groups as much as you can because many times they are not reliable for finding your ideal clients, or in my instance, tend to produce more issues than benefits. With being on call for births, working, and having a child of your own, how do you make it work? I always say I feel like Superwoman when I am on call for a birth. But I have noticed over the years that if you have enough passion for things, you just find a way to just make it work. Some births have fallen perfectly on a weekend when I don’t work, and my boyfriend is home and can watch our son, like a normal day. Other occasions, it has been pure insanity with me being at a birth for 36+ hours, making sure my day job work is still done even though I am not in my office, and my son getting moved around between family members, friends and babysitters, but we always make it work. It is easier since I have a flexible work schedule for my day job, because without that I wouldn’t be able to take on the birth stories that I do as often as I do. Having a great support team is what is number one in this field. Work with your friends and family to figure out a good schedule if you need baby sitters, I mean, grandparent love taking your littles overnight! Also, I recommend connecting with other mothers, birth professionals, and photographers. It is always nice to have a back-up in case emergencies happen, plus they are the best on call, non -family, babysitters. Do you meet with your clients to get to know them better or do you just get hired and then show up when it’s time? Yes, I always do, at least three times. Two are consultation appointments, and one is when I am doing their maternity photos. Births are very intimate, I will probably say that a million times, but because of the nature of them I always like to get to know a mother before I am in the delivery room with her. Personally, I wouldn’t want anyone I don’t know just taking photos of me at one of my most vulnerable and intimate moments. I mean, I didn’t even let my grandma or my mother in law in the room and I am very close with them both. I take that consideration into play with other mothers, because I want them to be as comfortable and confident that I am there. I see a lot of photographers, shoot Birth Stories in all black and white, why don’t you? I go back and forth so many times on color and black and white images, so I include them both for birth stories. I publish more color though because it showcases the real and authentic moments that happened to me better than black and white. Though those are so beautiful as well. There is just something about a wonderful, rich, color photograph that really takes you back to that memory. I’ve tried doing all black and white because it is the “norm,” but I just always find myself falling in love with a color photo more, so I always include them. It is all personal preference though. When is the best time to arrive at the birth? It honestly depends. I typically try and arrive at the hospital, home, or birth center when the client is dilated to a 7, but every birth is different. I have a questionnaire the helps me prepare based on previous labors, pregnancies, or if it is a first time mother. Unfortunately though, even with all the preparation in the world, there is no way to predict whether your client is going to go from being dilated from a 3 to a 9 in 30 minutes, or from a 5 to a 6 in 8 hours. Communication is key with births. It is important to ask a lot of questions before the birth, especially if they have delivered before. Asking questions like, “Did your past deliveries go quickly?” and “Are you being induced or do you plan to labor at home for as long as possible?” will help you prepare for their upcoming delivery. Of course, these answers can, and might always change when the moment finally arrives, but they often give you a better idea as to what might happen time wise and when you should plan for your arrival. I have all of my clients communicate with me from the moment their on call time starts. I check in weekly, and once it gets closer to their due date, I check in more often. It helps with seeing how they are feeling, if they have started contractions, or even what their doctor says for updates. Once they are in in active labor, still have them continue to communicate their progress with you until you arrive to photograph. How do doctors and staff treat and react to you being there? I have never once been treated poorly at any hospital or birth center. Actually, the staff treats me better at my local hospital as a birth photographer than they did when I delivered there. I have noticed that most nurses are extremely helpful and make sure that they get out of the way when they safely can for me to get a shot if I need to move around them. I have yet to have a nurse or doctor tell me that I cannot photograph them, or anything else, in the delivery room. But, I also make sure that my clients have permission from their doctor, as well as the hospital, to have me there. The first thing I do when I arrive at the hospital is to introduce myself to the front desk, the nurses, and if the doctor is in the room, to them as well. I strive on being very personable and sweet, but remain professional and down to business. I also let them know that I’m great at staying out of their way and if I end up being in the way to just give me a shove or let me know and I have no problem moving. I am able to get what I need even in the smallest of spaces and rooms. Please, be nice to them, respect the that job they have to do, and know that when they ask you not to do things it is out of the safety for your client and their baby. Most of all, be respectful and they will more than likely do the same to you.Plus, having a good connection and communication with the hospital staff will aid you in being able to get into areas that most photographers would not be able to, like the OR. How do you make sure you don’t need to be at 2 births at the same time? Honestly, you just can’t. Birth will always be unpredictable, even if you have scheduled inductions and c-sections. My own birth is a perfect example of this. I used to try to schedule birth clients weeks apart, but even with doing that it doesn't meant that both clients will not go into labor at the same time. I have had mothers deliver before others with an earlier due date, and vice versa. There is just no telling how it will play out. I’ve learned to let fate handle it. Currently though, I will only pick up 2 birth stories a month and I do not book during times when I have weddings or elopements. I do this to ensure that I will be able to attend all important events and won’t miss a single moment. I also have a backup photographer on call for if anything every happens, she is there if I do ever need her. I have yet to miss a birth though. (knock on wood). I have never had to use flash at a birth, okay.. maybe once if I think about it, but I have it on me always in case I ever do. I would rather be safe than sorry, but I feel like artificial light takes away from the raw authentic nature of the moment I am there to capture. 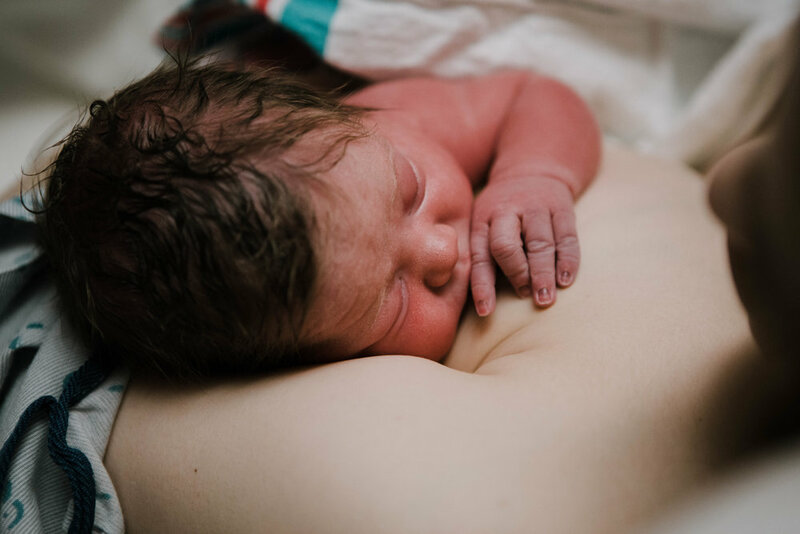 I want my client’s images to represent the exact memories of their birth story, for that feeling and atmosphere of their birth to be seen in the photograph. I don’t think flash does that, and I fully trust my camera’s capabilities to capture the moments I want with natural light. What is your favorite camera and lens while shooting births? My Canon 5D Mark III is my bread and butter for all of my sessions. She has been the best work companion I have ever had. I shoot all my work exclusively with prime lenses, besides births, as I pull out my 24-70 lens solely for them. I like that I can do the different focal lengths during the fast paced nature of the environment and I don’t have to continuously change a lens for the focal length that I need. Honestly, I find that the less gear you have at a birth, the better. Trying to sort through my bag for different lenses and cameras all while the nurses and doctors are rushing around the room preparing for delivery and my client is screaming “THE BABY IS COMING!” is not something I like to worry about. Simpler is better in this situation. Have more questions? I’m an open book, so feel free to send them my way and I am more than happy to answer!